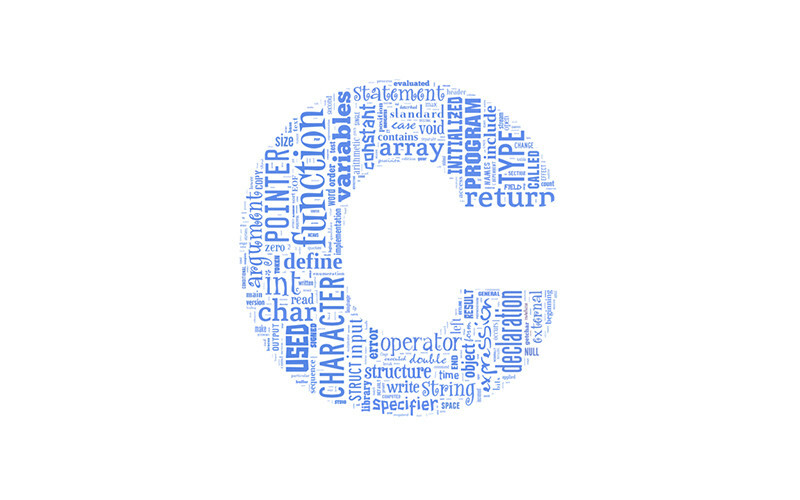 Pointers are one of the most powerful concepts of C programming and it is somewhat difficult for newbies. In this post, I will try to give brief information on pointer declaration and usage, memory access and management and pointers as function parameters. Lets have a look at how variables are defined and organized in the memory (RAM) before starting. I am defining an integer named x with the value of 7 by using such a command like int x=7;. There is one more hidden property related with this piece of code: the address of this variable. You may remember from Computer Architecture or Digital Design classes, we need address of the memory cells in order to use (load/store) the data of memory contents. The operations are realized on the addresses of the variables in background. Indeed, the address values are imaginary in this example. 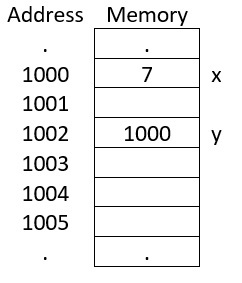 However, the variable x containing the value 7 is located in the 1000th address of memory. The pointer y which is located at the address 1002 contains the address of x (1000). There are two new operators in the code: * (indirection) and & (address). But, do not confuse the * character in the 2nd line with the indirection operator *. The * in the 2nd line is used just for defining/declaring a pointer. I will give information about the * indirection operator soon. & (address) operator provides the memory address of any variable. We obtained the memory address of x (1000) and assigned this value to y in 3rd line of the code given above (y=1000). * (indirection) operator provides the value which a pointer points at that moment. *y equals the value of 1000th memory cell (which is 7 in the example). A small question for you. Can you explain the output of the piece of code given below? 5th line prints the value of y which is 1000. 6th line prints the address of y which is 1002. How can we use pointer variables with scanf? If you remember the very first days of learning C programing, you have used & operator for assigning values to variables from keyboard. If you asked a question like “why we are using & with scanf?” to your instructor, probably you received an answer like “we will talk about soon…” Here we are, that “soon” is now! scanf intentionally needs to know the address of a variable to assign a value from a keyboard input. Thus, we are sending the address of a variable to scanf function in the 7th line (the mystery unveiled). Lets have a look at the 8th line, we do not use & operator when to assign a value to a pointer variables pointing address. Therefore, 8th line assigns a value to x (not y). In other words, 7th line equals 8th line. Passing pointer variables to functions is named as calling by reference. That’s all for now. I will write about the relation between arrays and pointers, dynamic and multi-dimensional pointer arrays soon. See you again!